I recently purchased a set of Matthews Road Rags Light Control Kit. I think these control devices will come in handy. The kit comes in two sizes 18"X24" and 24"X36". My kit is the smaller of the two. 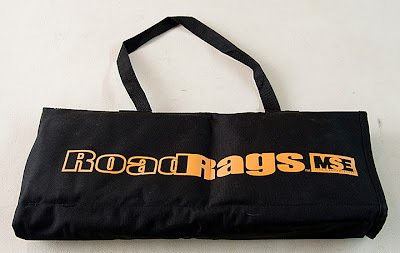 Road Rags are extremely portable light modifiers, the kit comes with a couple of scrims, a flag, one silk and 2 frames to hold them. This kit is very portable and lite weight. 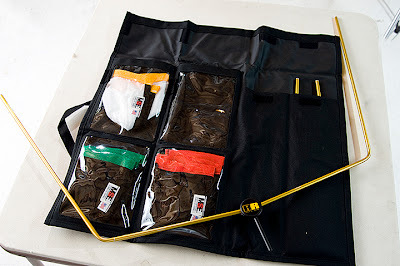 The complete kit measures 20"x5"x8" inches (LxWxH). 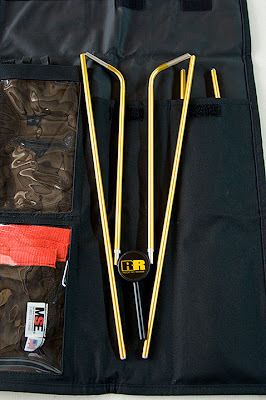 The frames are made of aluminum and are joined with elastic shock cords, very similar to collapsible tent poles. Here is a look at the kit folded into it's travel size. You can see from the photo at the left that the frames fold up quite small. The photo below shows the frame opened. It appears that the frame is larger that 18"x24" however, when the modifiers are placed over the frame it pull in to the 24" width. 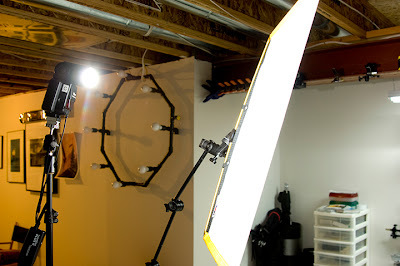 I ran a test to see how the artificial silk would work as a diffusion for my small strobes. 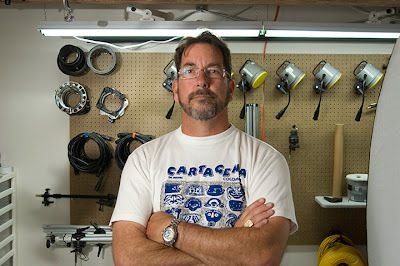 I used a flexarm to position the frame and a Matthews Miningrip Head to hold the frames. I used an SB-800 mounted behind the silk just to the left out of frame. 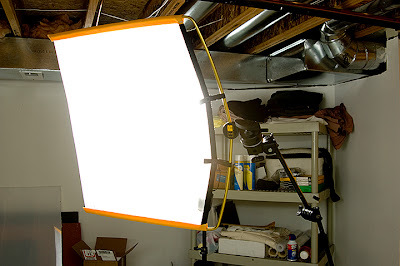 I also place a reflector to bounce some light back in on the shadow side of my face. You can see the set up in the next two photos. As I continue to try to lighten my load, I find tools like Road Rags that add to the stuff I carry. Time will tell if I get the use out of these as I thought I would when I purchased them.